You may remember Emily & Kosta's Engagement from a few months ago. If not, you can view it here. Long story short, their engagement session got cut short because of an insane amount of traffic in Baltimore due to an Orioles game. 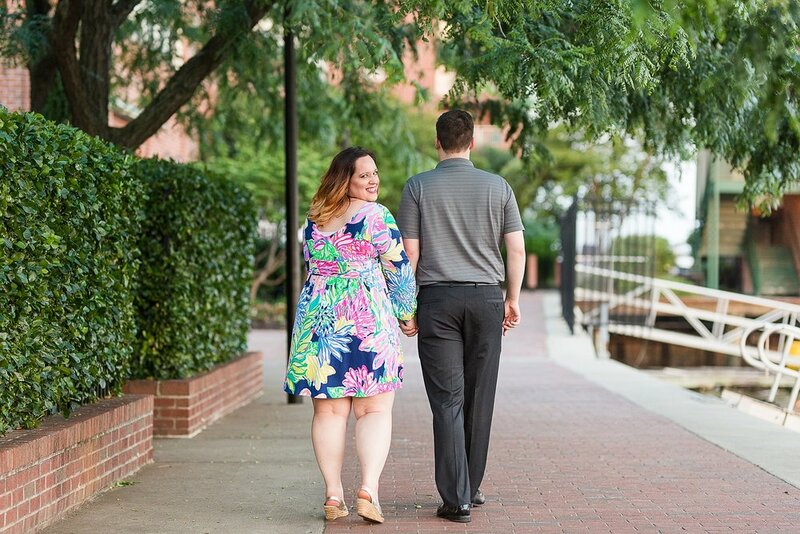 It was important to them to get engagement photos elsewhere in the city, so we rescheduled for a few weeks later and met at Fells Point! The evening we met was perfect weather and we had ample time to capture them in the golden hour of sunset! Fells Point will always be one of my favorite places to shoot. It not only has the harbor, but it also has so many beautiful historical buildings with so much character! I am also a sucker for the cobblestone streets because it reminds me of my trip to Eastern Europe! Emily and Kosta are such a joy to be around and I truly cannot wait for their M&T Bank Stadium wedding in April! It was so fun reconnecting with them that evening and having the opportunity to learn even more about them! The more time I spend with these two the more I feel like long lost friends. Emily's bubbly personality makes it so easy to talk and relate to her, I feel like we could talk for hours and not even notice the time going by! I enjoy talking to Kosta because he is so easy-going! He also has a passion for photography which is always a plus in my book! It may have taken me a while to blog this gorgeous session, but I promise it was worth the wait! 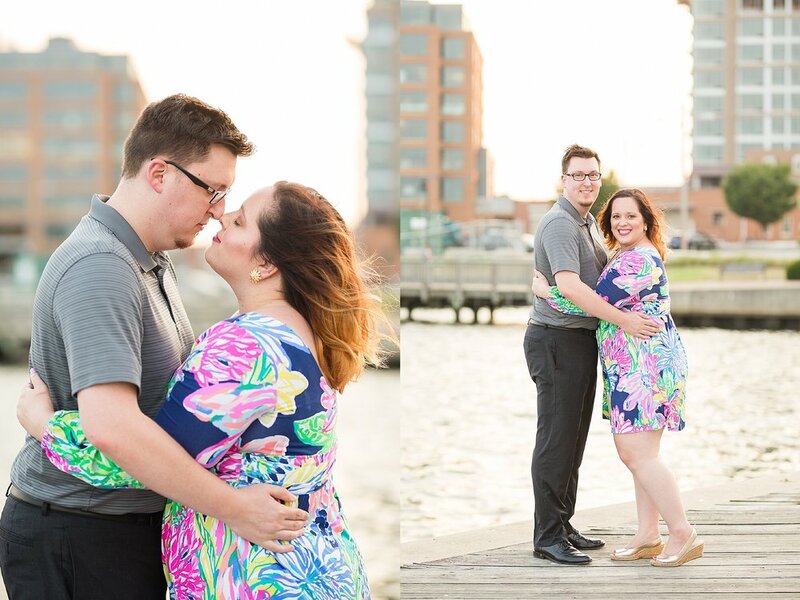 Please enjoy their Fells Point engagement photos and be on the look out for their M&T Bank Stadium wedding in a few short months! 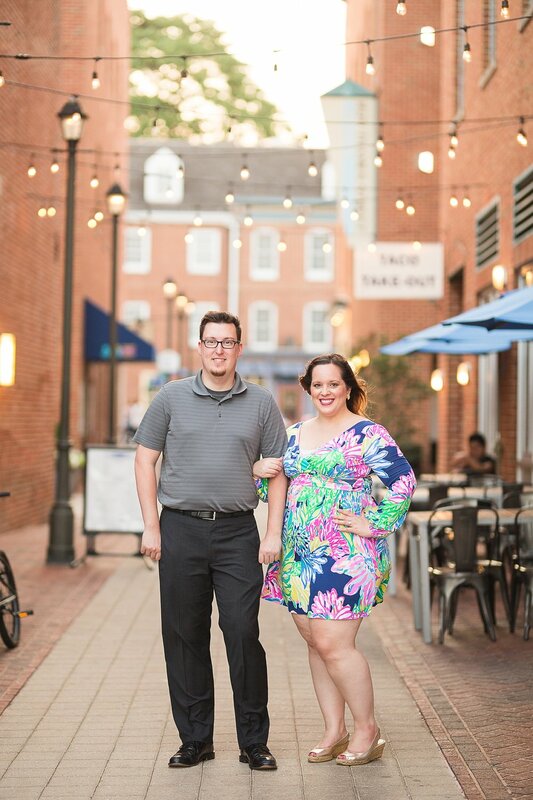 Interested in a Fells Point Engagement session? Contact me today to book your date!